It is this time of the year: The San Francisco Open Studios season is about to start. I’ll show again with my friends from Studio Nocturne SF. We share the same space at ARCH Art Supply with Bay Printmakers. We’ll be 16 artists at this one location. 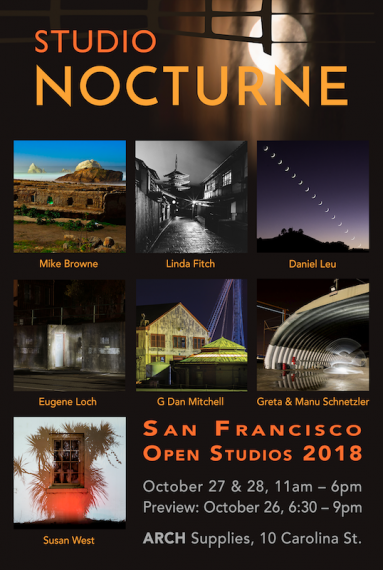 The seven artists of the Studio Nocturne SF group will host a Open Studios hub show at Farleys. More SFOS infos can be found on ArtSpan’s website.